← Naad yoga: Are you off-pitch or off-tempo? 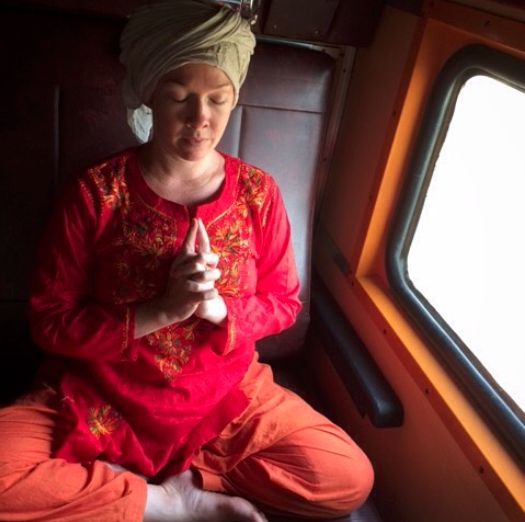 When I started practicing kundalini yoga in 2008, life completely changed. I’d been practicing hatha yoga for about a decade before then, and yes, that had certainly nourished my mind, body and soul in sweet, comforting ways that perhaps nudged me into a place where I was open enough to receive the baptism of fire that is kundalini yoga. And when I did finally happen upon kundalini yoga? Wowzas. It acts fast, this stuff. A few months after attending my first kundalini yoga class, which of course became weekly, and then bi-weekly classes, I started diving deep into holistic healing and made it my profession, ditching the ‘proper job’. I did my kundalini yoga teacher training. I wrote and published a children’s book. I went to art school. I met Nish. And while all this was blooming on a physical level, I was changing internally too, in mega ways. I was opening up. My first 40-day kundalini yoga meditation cracked my heart open like an egg and had me feeling deeper than I’d ever felt in my life. The change has been immense, and it continues. I have become and am becoming more honest with myself, no games, keeping it as real as I can. I have become and am becoming much more accepting of myself and others. Much less prone to stress, anxiety and a grumpy Aries/Taurus temper. Much kinder to myself. Much more intuitive. Much more conscious. And there is a loooooooong and delightfully winding journey of rebirthing, blossoming and growth ahead – it never ends! I so enjoy observing these changes. And I love witnessing how each of the kundalini yoga kriyas and meditations works on my psyche, both incrementally in a daily practice and in tandem, how they bounce off one another and work with each other to bring clarity and grace. Cheers and thank you, kundalini yoga, this is quite a ride! I’m forever grateful to be on this path.